Welcome into BCG Pix, where we take a look at our golf courses through the prism of photography you've shared with us through our two contests this year and using the hashtag #BCGPix on Twitter, Instagram and Facebook. We're breaking our own rules here a little bit, but a picture shared with us by the team at Knoxville Municipal Golf Course reminds us that winter golf -- at least when snow isn't on the ground -- can be a beautiful thing. 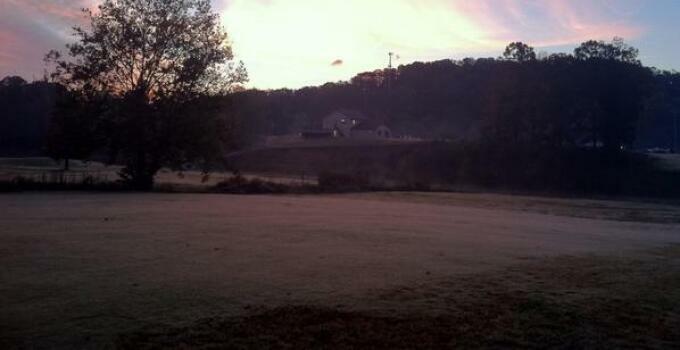 Back in October, the team shared a picture of a frosty morning in the elevations of eastern Tennessee. It looks a little cold, but the sun looks so beautiful reflecting off the grass in the morning. Even if it's a bit chilly, on the right day, winter golf can be a wonderful thing. Happy Holidays from all of us at Billy Casper Golf!